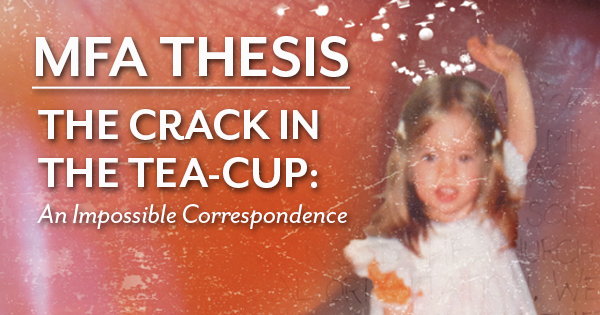 My MFA Thesis, The Crack in the Tea-Cup: An Impossible Correspondence, has been accepted into the 5th Annual Sheffield International Artist’s Book Exhibition. If October 2015 finds you in the UK, check it out. Visitors to the exhibition have the opportunity to look at the artist books up close and to vote for which piece receives the SIAB Prize. 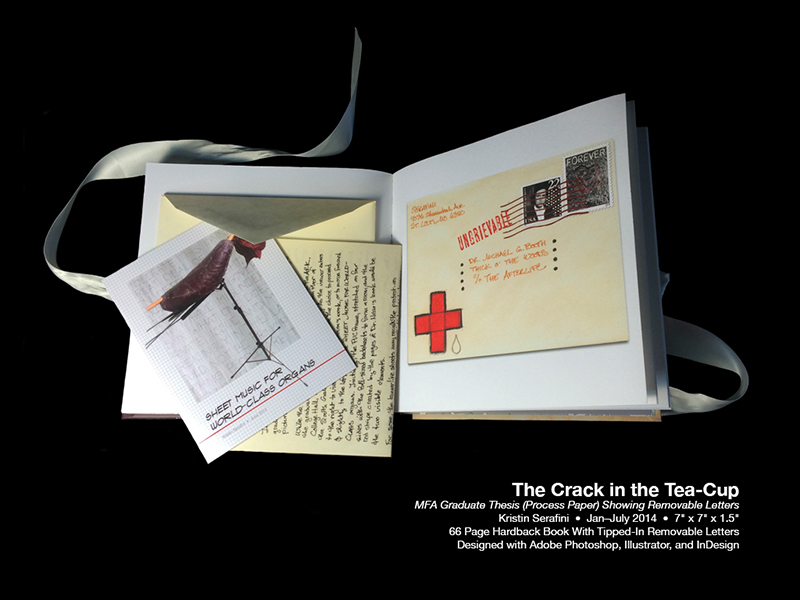 Collected by Yale University, the Joan Flasch Artists’ Book Collection at the SAIC, and the ACA Library of SCAD Atlanta, The Crack in the Tea-Cup: An Impossible Correspondence is an open edition 66 page hardback book containing letters and postcards I wrote to a close friend after his passing. This friend, whom I had known for 25 years, had passed without coming out to me. Since we were both teaching at a private college in the United States that did not knowingly hire or admit openly LGBT faculty or students, I was forced to confront the question of how much I had contributed to Dr. Booth’s continuing silence. 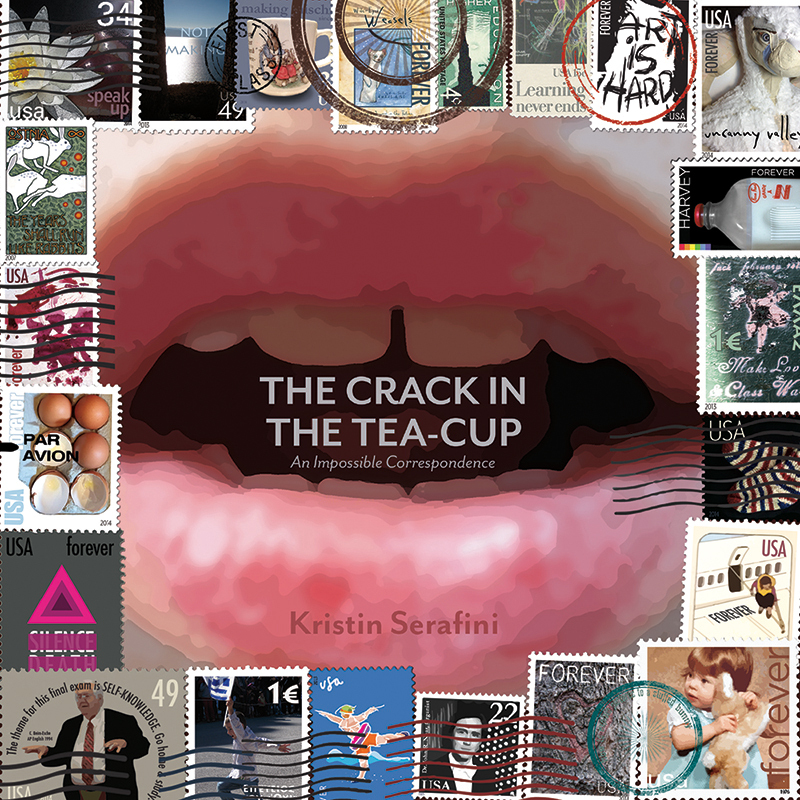 This correspondence searches through queer theory, academic politics, and personal history in an effort to register the cost of the closet and the accountability of allies. The book’s form takes a queer approach to the conceal/reveal, in/out binary. Inspired by Nick Bantock’s Griffin & Sabine series, tipped-in envelopes contain removable cards and letters. While Bantock’s postage stamps allude, separately, to countries that either do or do not exist, mine use coded images to commemorate hidden emotional territory within a recognized superpower. Similarly, when the book is open, the letters are still hidden, allowing the reader to decide whether to remove a letter from its envelope to examine it, and whether or not to put it back. 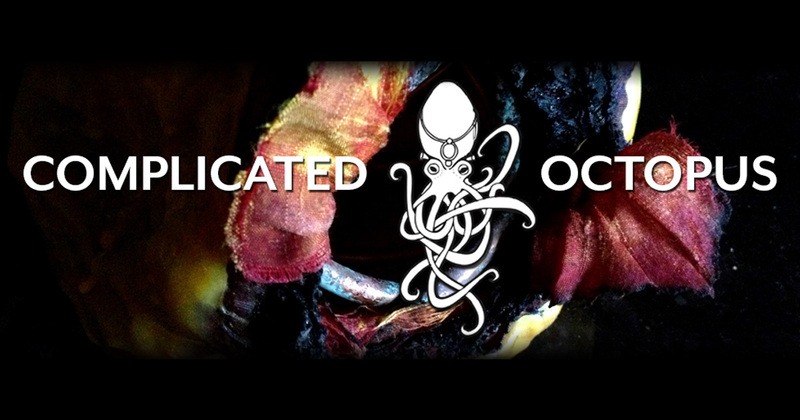 The overstuffed binding hints at how the suppression of content breaks a chosen form. On 18 November 2014, the Board of Trustees announced that, effective immediately, Principia College will end the policy of discrimination against LGBT students and faculty. None of us expected this good news to come so soon! I’ve designed a bonus postcard to add to the book which reflects this change… so now it has a happier ending.